At our local Middle School’s parent coffee chat, we brought in a local therapist and the founder of the Marin Stress & Anxiety Center, Jonathan Pofsky, to discuss the topic of stress and anxiety in our middle-schoolers and how we can support them. The following is a summary (originally posted on the school blog). Jonathan started by defining stress and anxiety. Stress is not inherently a bad thing. It’s more something to deal with. The fear response triggers the sympathetic nervous system – where you might have a stress response such as fight or flight. This is the part of our brain that keeps us safe and was what kept people safe from bears and lions in a different time. In modern living, something like a wrong look or an email could trigger us. There are two forms of stress – EU-stress and DIS-stress. Eustress is the kind of stress you might experience if you are about to do a presentation – a little excitement and charge – and it is beneficial because it can improve performance and focus your energy. Distress is what most of us think of when we hear the word stress – it’s negative stress – and it is perceived to be outside of our coping ability, feels unpleasant, and it decreases performance. 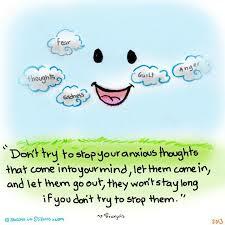 Anxiety goes beyond feeling stressed or nervous. And it can produce disconcerting behaviors. 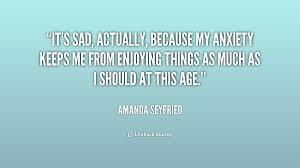 Anxiety is fear-focused, future leaning, imagined negative outcome. It’s in the mind and it triggers the sympathetic (fear-based) nervous system. If kids aren’t aware of what this is and don’t have any way to deal with it, they will act it out – they will need to discharge it. They may be aggressive, shutdown and perhaps go into depression, act out in class, or even self-medicate with drugs or alcohol for relief from those feelings. 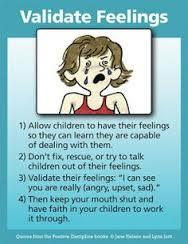 It’s really important that we all try to address our own stress and anxiety in order to gain credibility with our kids. Our kids will have a hard time taking advice from us about how they can manage their own stress and anxiety if we aren’t doing it for ourselves. Kids wear hypocrisy glasses and are always looking for things that don’t match up. When kids know we are really doing things that are creating more balance and peace in ourselves and our families, they will be more likely to be interested in learning more. It IS hard to be a teenager. We might not be able to change the outside circumstances and our culture, but we can support them and help them to build the inner resources to deal with those circumstances and stressors. 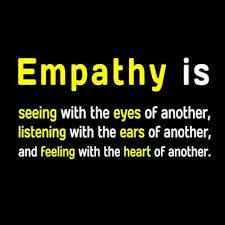 Be empathetic towards them. We all want to feel seen and met. When they share something that is going on in their lives that is causing them stress or anxiety, it’s best not to try to fix the problem or to say things like “I know exactly what you are feeling” or “I completely understand”. Rather we want to allow and validate their feelings with statements such as “yea, I can see you had a rough day” or “it sounds like a confusing time for you.” And if you don’t know what to say, “un-huh” and “yea” is enough. Shift from being the manager of their lives to the consultant. Focus on side-by-side communications where you are more neutral and supportive rather than telling them what to do. It’s time to tap into their resources and ask them how they will deal with situations rather than just trying to fix or solve the problems for them. This does not mean we don’t set boundaries. We can still have rules and boundaries, but it’s a great time to examine whether they are still appropriate and if they might be there from the role as manager and are not necessary in the new relationship as consultant. As a consultant, we want to make sure that we are doing more listening than talking – ask a question and then zip your lips and just wait…and wait…and wait. Eventually they will talk. Remember to be gentle with yourself (and your kids). The truth is that we are human and we will react, be stressed, and slip back into managing even after we have decided to be the consultant. It’s okay, be gentle. Acknowledge your humanness, as well as theirs. Our kids pick up on our own energy around trying too hard or putting too much pressure on ourselves. Also, can we be more gentle with our kids? Can we allow them to “be” how they are rather than trying to change them or change the way they feel? What tips can you share with other parents that you use to help your kids with their anxiety and stress? Post below in the comments!